Regardless of the unemployment rate, finding the right job can be a challenge. Volume One reached out to these Chippewa Valley experts and organizations to help compile this job hunters’ guide. Keep in mind these 10 tips while seeking the job that’s right for you. Attitude IS everything. “Life is 10 percent of what happens to me and 90 percent of how I react to it,” according to pastor and educator Charles R. Swindoll. Surround yourself with your hallelujah chorus, i.e., those who support and cheer you on. Get rid of the Greek chorus, i.e., those who bellyache, complain, and bring you down. Cut the cord with negative thinkers who zap the energy out of you. According to a recent article on Money.com, companies now use Applicant Tracking Systems (ATS) to pore through numerous résumés they get for any open position. The ATS scans your résumé for keywords applicable to the job you’re applying for. Approximately 75 percent of candidates are taken out of consideration before a human even eyeballs your résumé. ATS software is designed to scan vertically, so résumé that are centered are the best bet. 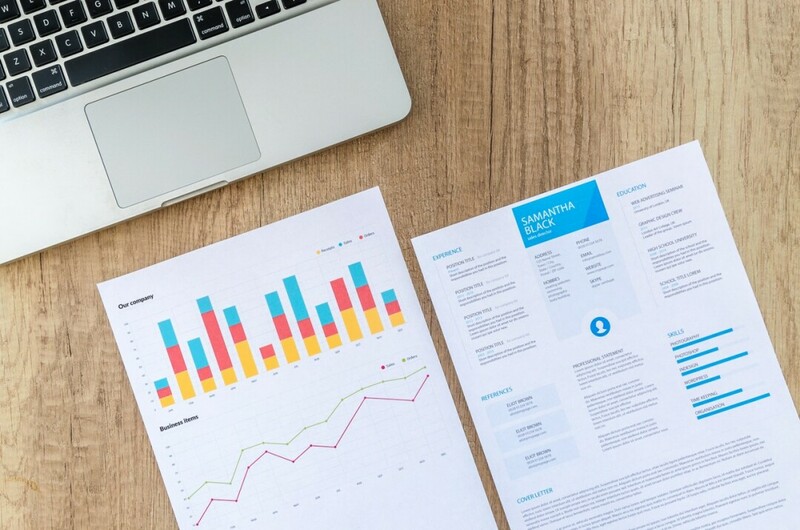 Want to get through the “bot?” Make your résumé and application match what the job is asking for, and be able to back up with your skills and experience. “Technology certainly makes finding a job easier. But don’t forget about the human touch. Who you know still holds weight, and traditional contact methods do yield results. Employee referrals are held in high regard. Networking with industry peers or volunteering in your community can open doors. Staffing and recruitment firms can serve as a bridge to permanent employment, help job seekers get the experience needed to develop a career path, and serve as a job seeker’s advocate with the clients they service.” – Laura Schick, Branch Manager at Flex-Staff, Inc. The Job Center of Wisconsin, 221 W. Madison St., in Eau Claire, is a tremendous resource for job seekers. They offer a multitude of free workshops ranging from how to use keywords in your résumé to how to prepare for a job interview and more. Counselors will meet with you one-on-one to review and discuss your job search strategies. There is a weekly job club for job seekers, and the center has job specialists trained to work with veterans and those with disabilities. 7. WHAT SHOULD I DO WHEN I DON’T HEAR ANYTHING BACK? There is a very fine line between being politely persistent and being a pesky pest. So walk the follow-up line carefully. 8. WHAT ARE SOME BARRIERS FOR JOB SEEKER IN TODAY’S ECONOMY? 9. YES, THERE’S LOW UNEMPLOYMENT, BUT WHAT DOES THAT REALLY MEAN FOR THE JOB SEEKER? 10. AND FINALLY, BE PERSISTENT! Never give up, Never quit. Persist! Barbara Arnold, a writer in Eau Claire, is a “cool aunt” who will take care of your kids for a date night and deliver them back on a sugar high. She has served as a coach and mentor to hundreds of young people.